From the Peruvian lands of the ancient Inca Empire to the Ecuadorian islands those once housed pirates; this extensive tour will take you over two mystical regions and all the beautiful landscapes found along the way for a once in a lifetime voyage. Immerse yourself in the culture and history of the cities of Peru. Travel through the Sacred Valley and witness the majestic landscape from vantage points. 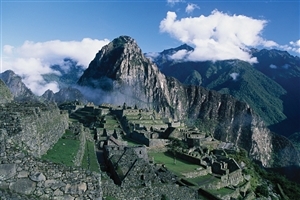 Walk around the ruins of the wondrous Machu Picchu, a testament to the glory of the Inca Empire. Traverse the waters of the Galapagos Islands and view volcanic rock formations and hidden coves. View a number of marine animals on the various islands scattered throughout the Galapagos. 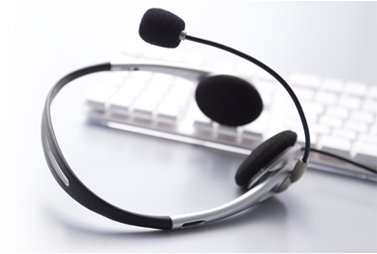 Arrive at Lima Airport and transfer to your designated hotel. 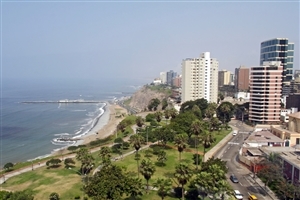 Explore the city of Lima, indulging in the historical monuments of the colonial side of the city, and perusing the restaurants and shops of the modern quarters. Afterwards, take a look at the ancient pre-Inca pyramid Huaca Huallamarca. 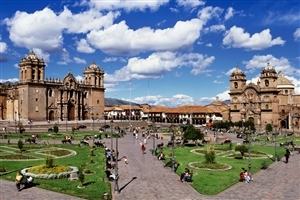 Catch a flight to the city of Cuzco, the once great capital of the Inca Empire and home to a number of significant temples and monuments, including Coricancha, a temple once decorated in pure gold. Spend the day familiarising yourself with this wonderful city. 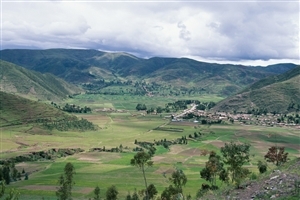 Journey across the beautiful landscape that drapes the hills and bends of the Sacred Valley. This splendid gorge houses a myriad of traditional villages and ruins, including the vibrant Pisac Indian Marketplace and the ancient Inca fortress of Ollantaytambo, both of which you can visit and get up close with. 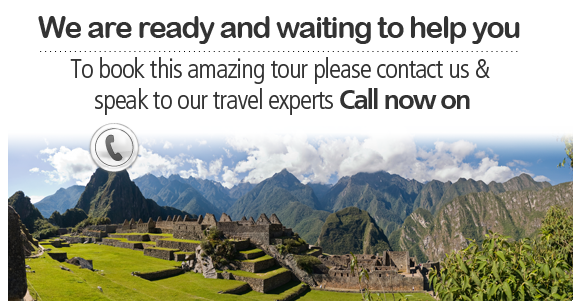 Travel via bus and journey through the Sacred Valley to the lofty plateau on which sits the wondrous site of Machu Picchu, considered one of the most beautiful archaeological sites and an official member of The New Seven Wonders of the World. The ruins themselves include a number of highlights, and the view from the elevated vantage point allows for some of the most beautiful views of the Sacred Valley. Spend the morning at your leisure, consider heading back over to the ruins of Machu Picchu and catch the sun rise over the hills and bathe the valley and site in golden light. 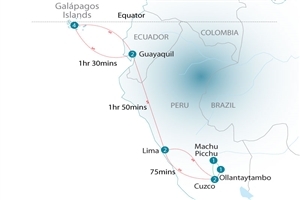 Catch a flight via Lima to Guayaquil, the largest city in Ecuador, and spend the day at leisure. Arrive today on Baltra Island by plane and transfer to the docks to board the M/V Santa Cruz. First stop is Las Bachas (wet landing), located on the north shore of Santa Cruz Island. Green sea turtles use the white sandy beach as a nesting area. Bodies of brackish water and lagoons are located just a few short steps away, and are often inhabited by a number of wading birds. Take the opportunity to go snorkelling before Welcome Cocktails and an expedition plan take place. After breakfast, explore the coastal region of Buccaneer Cove with its lofty cliff face. Learn all about the past of Santiago Island and its history with whalers and pirates. The cove is home to a myriad of marine animals and birds to keep your eyes out for. The landscape houses some impressive rock formations, such as “Elephant Rock” and “The Bishop”. Take another snorkelling opportunity before lunch and moving on to Puerto Egas, disembark (wet landing) for a walk through the volcanic rock formations. A colony of sea lions often make their home along the walk, and depending on the tide, marine iguanas may be spotted. Take another snorkelling or swimming opportunity from the beach before an expedition plan and dinner. Disembark today at Ravida Island (wet landing) on a beautiful, terracotta coloured beach, due to the high amount of iron deposits from the volcanic substance. Observe several marine life creatures and birds while taking a walk along the beach, and discover a hidden salt pond close by, an often home for flamingos. Due to the high density and variety of marine life, snorkelling and swimming here is highly recommended, or alternatively take a ride on a glass bottom boat. After lunch, venture over to Bartolome Island (dry landing) and trek up to the summit. The climb is worth the glorious view of the surrounding areas and beyond. Take a dinghy ride around the majestic Pinnacle Rock and laze upon the beach (wet landing) and snorkel/swim at your leisure before an expedition plan for the following day. Start the day with a fascinating panga ride along the cliffs before disembarking (dry landing) for a steep climb up Prince Philip's Steps. You will level out onto flat ground where you can enjoy a walk to the other side of the small island, spotting a plethora of bird species along the way. Enjoy lunch aboard the ship and head over to Darwin Bay in the afternoon (wet landing) for a stroll of the island. Take an optional tour walking atop lava rock and uneven volcanic formations or return to the beach and swim, snorkel or boat ride at the beautiful harbour. The evening holds a Farewell Cocktail and departure briefing before dinner. In the morning, take an optional departure to view the giant tortoise breeding programme on Cerro Colorado, located on the south shore of San Cristobal Island. Return to town and transfer to the airport for a flight back to the mainland.